Jane Austen was the master of the novel of manners, and Emma may be her masterpiece. Personally, I’m slightly more fond of Pride and Prejudice, but it is a near thing. Unlike Pride and Prejudice or Sense and Sensibility, the protagonist of Emma, Emma Woodhouse, is often the target of the comedy. We are not reading just her reactions to the hypocritical, pompous or foolish actions of those around her but also seeing her act the same as those around her. She constantly makes mistakes or misreads situations, but still the reader sympathizes with her. None of her mistakes are out of any sort of malice; she merely overestimates her social abilities. Elizabeth Bennet mostly stands apart from the stupidities of those around her, like her mother or Mr. Collins. They may affect her, but she does not partake in their foolishness. Emma, though, is just as capable of foolishness as anyone in her story is. She is a highly entertaining character. What puts Pride and Prejudice over Emma, for me, is the near complete lack of plot in Emma. Things happen, to be sure, but there isn’t much of a central plot to tie everything together. Also, Emma is half again as long. I have no complaint with long books, but combined with Emma’s lack of plot it is a slight problem. 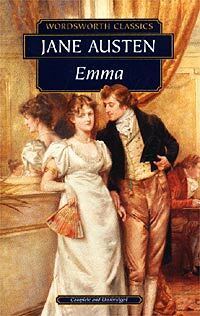 Emma is a classic for a reason and a classic that is still worth a read today simply for the enjoyment of it. 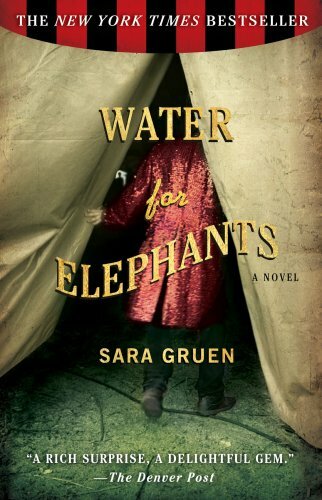 In not exactly anticipation, more like serendipitous recognition, I read Water for Elephants just before the movie came out. I did not see the movie, and have no plans to, though I wouldn’t avoid the opportunity if is arose, but the book was all right. The parts that are about the circus are genuinely enjoyable. Gruen does a great job of making the setting real. While circuses are no something I’ve ever really cared for, I can see why running away to join the circus was a thought of young boys for a long time in this book. And I can see even more clearly how dangerous and treacherous circuses were. The setting in this book is an astounding combination of wonder and ruthlessness. The setting alone is a good enough reason to read this book. That is a good thing, because the love story that makes up the central plot is mostly lifeless and dull. Once the players are on stage anyone who had ever read a love story can tell how it will play out. There are no surprises or twists, just a tale of falling in love centered on the two least interesting characters in the novel. Still, I would give Water for Elephants a tenuous recommendation. I am not familiar with the writer of this book at all; I found it on the clearance rack at Books-a-Million and thought it looked interesting. The Devil’s Eye was a surprisingly good read. The book starts as a Sci-Fi Detective novel, which is great. Chase Colpath and Alex Benedict try to solve a mystery involving the disappearance of a horror writer by following her trail at the last place she was seen. It has a great mix of Sci-Fi action, with alien monsters and space travel, and regular mystery solving. 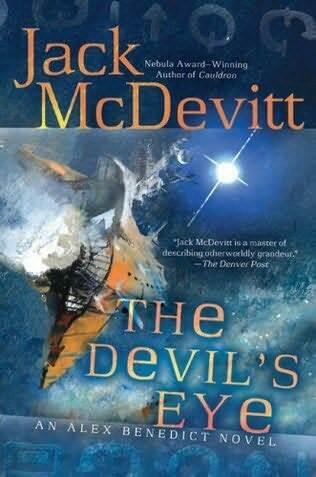 It is obviously not the first story starring the intrepid investigators, but The Devil’s Eye doesn’t skimp on letting the reader get to know these characters. For as long as the mystery was being solved I thought this was going to become a new favorite of mine. The problem arises when, about two-thirds the way through, they solve the mystery and then must deal with the aftermath. It could be an interesting way to go about ending this book. The protagonists never really consider the implications of rooting out the mystery and whether or not it was right to (it absolutely was) until after it is too late. However, the aftermath part ends up lending an importance to the main characters that rings false. When they are investigating a disappearance and discrepancies about it, they role makes sense. Later they seem to have world changing power. It is as though a police detective started hanging out with the President. It just makes no sense. All that said The Devil’s Eye is still a fine read. I’ll be looking into McDevitt’s other works, but my enjoyment of this one did take a big it as it floundered to it end. I wish I had read this one first, because it is actually not bad. For three quarters, it is almost good. 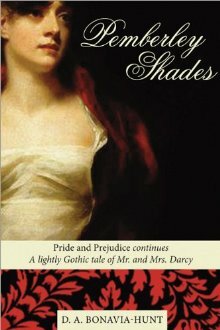 Pemberley Shades is another sequel to Pride and Prejudice, though fortunately it reads more like the continuing life of the characters from the book and not new people who happen to share their names. The new characters fit right in to Austen’s milieu as well. Unfortunately, as the book concludes you begin to realize that while the characters are mostly right, the author did not actually have a story to tell. Things that felt like they were building fizzle unsatisfactorily, motivations change for no reason and then it just sort of ends. I would not recommend this. I am not sure why I read it. 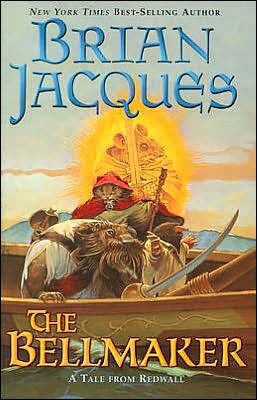 This is where my re-read of the Redwall series ends for now. Not because I’m not liking the books, far from it, but because they are all so similar to each other that reading them in rapid succession makes them all run together in my mind. The Bellmaker is, as far as I can tell, one of the few Redwall books to be a sequel that features the same cast as an earlier book. This one is again about Mariel and her cohorts. Though it is titled The Bellmaker, Joseph the Bellmaker has little to do with it. It has all the hallmarks of the other Redwall book; swashbuckling action, dangerous but cowardly villains and larger than life heroes. It also focused more on seafaring than most of the previous books. It is present in most of them to one degree or another, but it is more prevalent here than in any others. The Bellmaker is not the best book in the series, but neither is it out of line with the general quality.